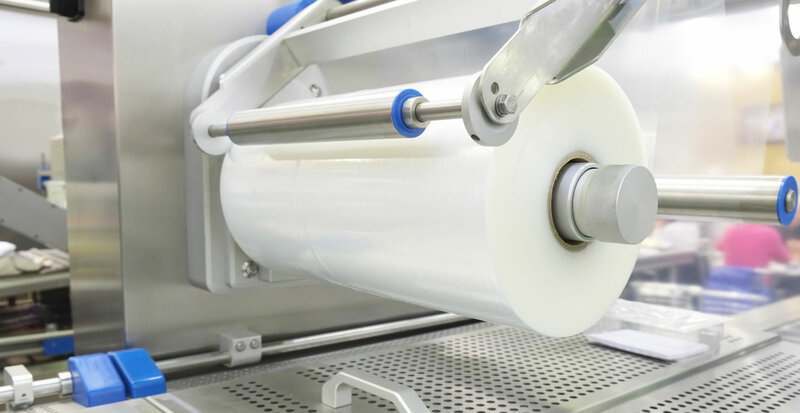 The majority of films that we manufacture is used on automated packaging lines including shrink tunnels, wrapping machines, form fill and seal machines and more. Our films flow efficiently and cost effectively. Automated film is a cost effective and efficient method for numerous packaging and production practices. It is fast becoming the method of choice for a lot companies in most industries with automated films replacing standard bags, sacks and manually applied films due to it’s cost effective nature and productivity increases. ATL Dunbar is an industry leading supplier of automated films due to our cutting edge quality films and best prices. Manufactured in either mono or co-extruded we offer our films either plain or printed up to 8 colours. The vast majority of our automated films are extruded bespoke to order to ensure the maximum level of cost saving and efficiency for our customers. Our goal when working alongside customers is to reduce their cost on automated film without compromising on quality and productivity. This is done by utilising state of the art extrusion and polymer technologies which ensure our customers are paying the lowest prices and getting the highest quality.